I WANT TO LAUGH is a humor book about the health benefits of laughter as well as funny jokes, quotes, one-liners, and much much more. This book will get you through your day or night with a feeling of happiness and joy. The recommended daily dose of laughter is 15 minutes a day. Mr. Ellis book will have you laughing even after you put the book down. Also, it will inform you on the health benefits of laughter. For example, laughter lowers Blood Pressure, promotes better sleep, increases natural killer cells (to attack cancers and tumors), improves respiration, and much more. In addition, there are hundreds and hundreds of jokes, quips, and quotations for almost every occasion. There are clean jokes, dirty jokes, excruciating puns, merciless put-downs and funny one-liners; humorous quotations and thoughful epigrams as well as wisecracks by some of the world's funny and favorite comedians. 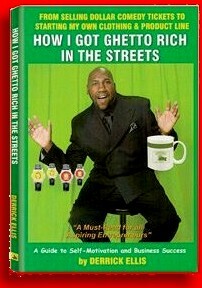 You can purchase this funny and very informative book at WWW.DERRICKELLISBOOKS.COM, WWW.AMAZON.COM, WWW.BARNESANDNOBLE.COM and select book stores! Bookstore locations for "How I Got Ghetto Rich in the Streets"
In reading this book entitled from VODKA TO COFFEE "I HAD TO GET SOBER OR STAY BROKE!" The reader will venture with comedian Derrick Ellis as he goes from drinking heavy to not drinking at all. He will give you tips on how he got sober and how he managed to run a sober business. The book will also inspire one to go after your dreams. Mr. Ellis shows you in his third of a four book series, how alcohol almost bankrupted him and destroyed his dream of becoming a successful comedian and entrepreneur. The book will give you insight on changing your life situation and improving your self-esteem. This book will explore the whole notion of Patience. How patience is so important in life when pursuing ones goals. Also, how working hard pays off. Working hard is just part of having a successful life. You should have a vision and do not let anyone obstruct that vision. Also, when times are hard the book talks about moving forward as well as pushing the envelope in life. The book warns you about being aware of your surroundings and not letting people allow you to loose focus on your mission through negative comments and suggestions. This book is Mr. Ellis third book he has written. He wrote it for people around the world to read because it's an inspirational and motivational book with a taste of realization. I like to end by saying, after reading this book hopefully you will see how obstacles don't stop nothing when you are willing and focused on being successful in life. They are just a part of things you have to experience before becoming successful. 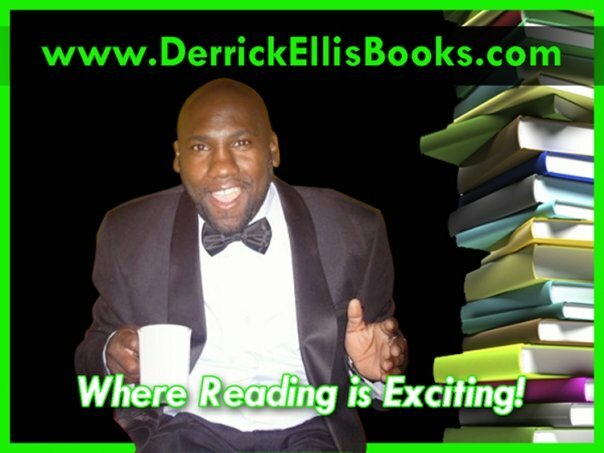 For more helpful books by Derrick Ellis log onto www.derrickellisbooks.com "where reading is exciting!" This book is a 132 pages and is available at www.derrickellisbooks.com, www.amazon.com, and www.barnesandnoble.com. All Donations are to provide books to middle and high school kids. Kids who are poverty stricken and low income. In this must read motivational and business success book, Comedian Derrick Ellis takes you on a journey of alcoholism and street hustling. In his first published book, he allows the reader into his world of heavy drinking, stand-up comedy, and sobering up to running a successful clothing and product line. He also gives tips on entrepreneurship and steps one must take in order to start a clothing or product line. What makes this book different from any other guide to self-motivation and business success book is its truthfulness and honesty allows the reader to feel a since of realization and not fabricated information. Mr. Ellis gives away his secrets to how he got money when the odds were against him. He allows aspiring entrepreneurs, comics, or anyone who wants to start their own business, in on important information to achieving that goal. 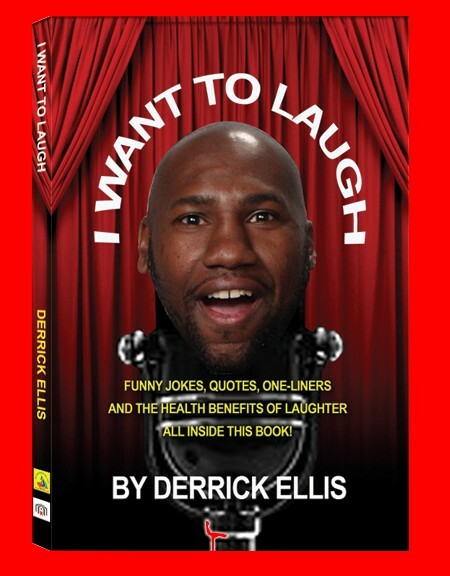 What's so appealing about Derrick Ellis book is that he overcame an uncurable disease to fulfilling his dream of being a successful stand-up comic and businessman and he expresses it detail by detail. Also, this book was written to inspired people of all colors and races but especially his race (african-americans) to go after their dreams and they too can overcome obstacles! There is a lost audience of African-American readers looking for literature that speaks directly to them. This book can be purchased exclusively at WWW.DERRICKELLISBOOKS.COM as well as select book stores. NOW AVAILABLE WWW.AMAZON.COM, WWW.BARNESANDNOBLE.COM, WWW.BORDERS.COM, AND WWW.DERRICKELLISBOOKS.COM AS WELL AS SELECT BOOKSTORES! Growing up in Hollywood, CA, Denver Thomas was destined to be a rising stand-up comic star. Moving into a shelter when he was 13 years old after the death of his mother and the incarceration of his father, Denver became interested in pursuing a career in stand-up comedy. However, after a series of events happened, Denver Thomas sets up a plan to get his revenge on the entire comedy game. With a look of disgust as he looks in the mirror over and over again. A cold dark gloomy site in the basement of his run down house in Compton, California. Denver begins to sweat blood from his veins in an angry, heartless, and deranged manner. 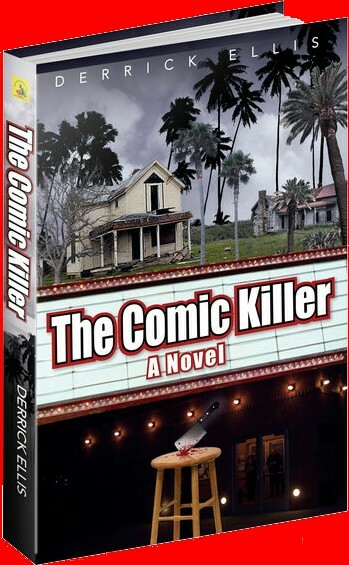 Born in Hollywood, CA, Denver would have never known that his ability to make people laugh would eventually turn sour; therefore, making him a cruel COMIC KILLER! Copyright �2009 My Mama House Productions All rights reserved.